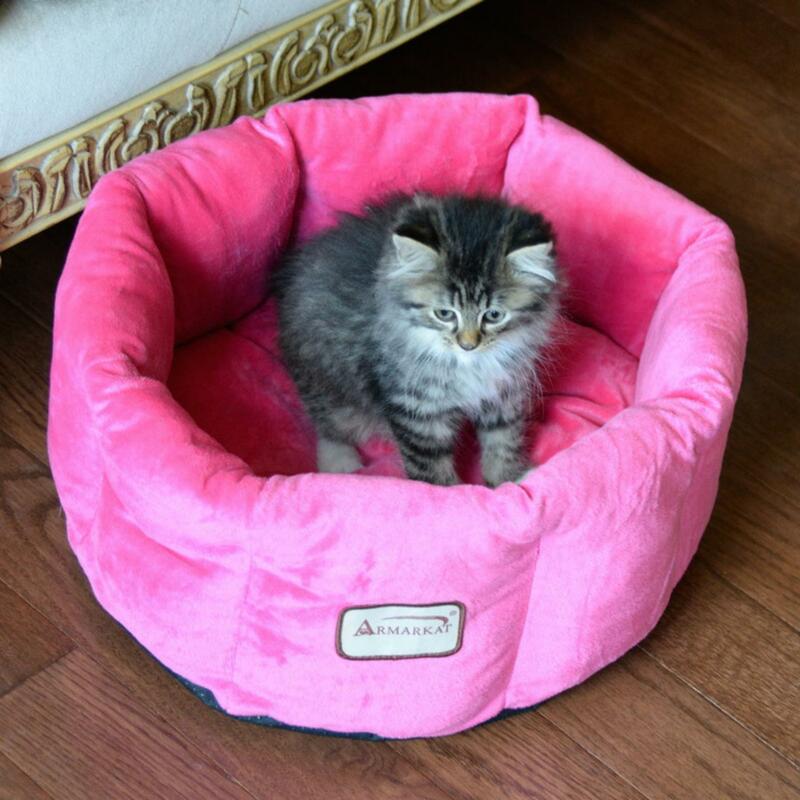 The Armarkat Pet Bed in Pink will provide your pet with sweet slumber! The Armarkat Pet Bed is sure to be your cat or dog's favorite lounging spot! This cozy bed features soft plush velvet fabric making it extra warm and comfortable for your furry friend and the bright pink color makes it extra fun. The bed is filled with extra thick 100% poly fill and completely machine washable. The base of this pet bed is waterproof and skid-free insuring it will stay in one place. Have ordered many items and have always been very satisfied. My dogs have a cedar chest full of clothes.